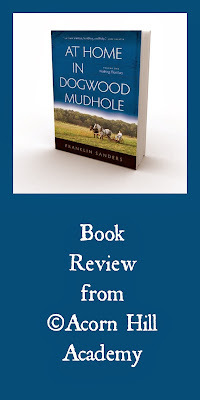 I don't get to read for pleasure as much as I'd like these days, so I was glad to have the opportunity to review At Home In Dogwood Mudhole: Nothing That Eats by Franklin Sanders. After I read the sample chapter (take a look here) I was looking forward to it! I received a paperback copy to read. Mr. Sanders is a proud Southerner, born and raised in Tennessee, and passionate about Southern history and heritage. He and his family made the move to a farm in Dogwood Mudhole in 1999, in preparation for the potential and predicted end of the world as we knew it when Y2K hit. This book is the first in a trilogy, a compilation of newsletters he's written for subscribers to his monthly publication for his business, The Moneychanger. The book is 379 pages long, and is divided into four sections: "Leaving Memphis Five Miles at a Time," "Living in the Country Changes You," "Learning Curve," and "A Real Farm." Within each section, the newsletters are dated and titled. In this first book, I journeyed with his family as they left Memphis and moved to their farm. They began as a one nuclear family, Franklin and Susan and their seven children, which then grew with marriages and grandchildren. Mr. Sanders shares his faith in God and love for his wife and family unashamedly. 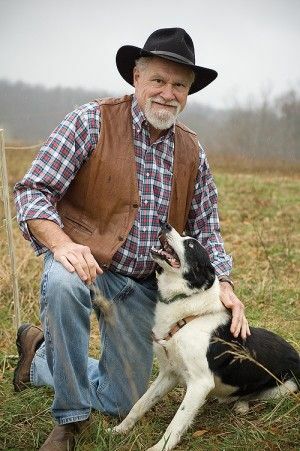 He also shares contact information on business he likes, particularly local restaurants and such he's visited and enjoyed while traveling.Although they started out their life on their farm insisting they would get "nothing that eats," they somehow acquired chickens, horses, cattle, pigs, and sheep, and lots of dogs. I was reminded of an American history course I took in college, in which my professor told us that history is subjective. How could that be, I wondered? Isn't history simply presentation of facts? Oh, how little I knew then! This isn't the place for that discussion, but while Mr. Sanders and I do not agree on some things, the last line in the above quote particularly resonated with me. The only thing I know as I walk through this life is that I have much to learn, and I think Mr. Sanders is a lifelong learner, as I strive to be. I grew up in rural Michigan, and my parents built their house on a little piece of my grandfather's farm. My other grandparents built a house next door to ours. I loved growing up on the farm, and have wonderful memories of living in the country. While we were certainly not farmers, my grandfather did work his farm, and kept a few cows and grew hay and corn for them. I got to help with the haying once - I thought I would never get all the dust out of my nose. I loved reading how the Sanders family learned to be farmers, to live the agrarian life, and care for all their animals. They've had some adventures! I learned a lot about farm animals and their care. I have enjoyed reading this book, and I hope you will read it, too. It's written for adults, but I wouldn't hesitate to hand it to one of my children to read if they were interested. It's a lot of fun. It puts me in mind of James Herriot's adventures as a new vet: steep learning curve with lots of joy on the journey. 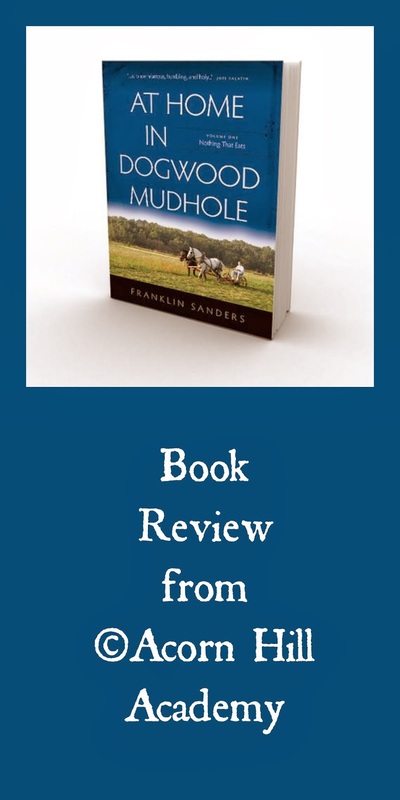 It made me want to visit the farm at Dogwood Mudhole, meet the Sanders family and all their animals, and get to know them a bit. That, to me, is a good book, when it makes me want to visit. At Home in Dogwood Mudhole: Nothing That Eats is available for $22.95 in paperback, and $16.95 for a Kindle/ePub/PDF version.